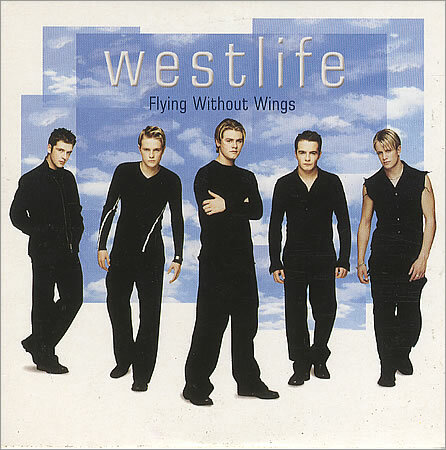 If the abundance of Westlife could be narrowed down to a mere one signature hit, “Flying Without Wings” is it. Written by British ballad king Wayne Hector, it’s the one original song of theirs to become a reality pop staple and be picked up by other singers. It’s audibly more effortful than either “Swear It Again” or “If I Let You Go”, and it pushes Shane and Mark – who, yet again, do most of the vocal work – a lot harder than before. Mark especially takes this as an opportunity to go the Full melismatic Monty, turning his lines into chest-thumping note-drenched cascades of passion. (Their raw gospel power slightly undermined by his pronouncing “morning” like Officer Crabtree off Allo Allo).